We are pleased to announce that through this year’s grants program, $30,000 is available to local LGBTQ and LGBTQ-friendly 501(c)3 nonprofits. What would your organization do with extra funds? Put on your thinking caps and let us hear how we can help you address our community’s unmet needs. Monday, November 5, 2018 by 4:00 P.M.
Every day at Diversity Richmond we strive to build a stronger community and our annual grants program is one way we pursue that goal. Since 1999 we have given about $1Million to local community organizations. This is made possible by Diversity Thrift proceeds, special event revenues and our financial donors who support our work. Click on the link above to complete the application. We look forward to hearing from you. 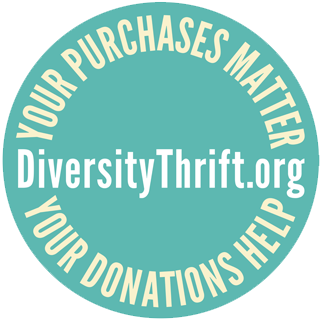 To support Diversity Richmond, donate by credit card here or mail checks to Diversity Richmond, 1407 Sherwood Avenue, Richmond, VA 23220.